Keolewa Heiau is situated along the Hā‘upu ridge line on the peak of Hāʻupu on Kauaʻi. Hā‘upu in the Hawaiian language means a sudden recollection; the mountain is known for its ability to jolt a memory, or alternatively, open a view to the future. The phrase Hā‘upu mauna kilohana i ka la‘i (Hā‘upu, a mountain outstanding in the calm) honors the mountain itself, and is also a description for someone who achieves outstanding things. The small heiau atop Mt. Hā‘upu is dedicated to Laka, the goddess of the forest and patron of hula, whose kinolau (embodied form) lives in the wild and sacred plants of the upland forest that are used by hula practitioners. Both the heiau and the wooded area at Hā‘upu’s summit are known by the place name Keolewa, which appears in a variety of prayers, chants and oral traditions. Beckwith calls her “the goddess of love.” The name laka means “gentle, docile, attracted to, fond of,” and there are old chants asking Laka to attract not only love, but wealth. Of very different origin, she was nevertheless incorporated into the Pele religion. Due to her associations with the forest she represents the element of plants. Hā‘upu Ridge is also revered as a dividing line between and meeting place where the powerful fire-goddess Pele made passionate love with the demi-god Kamapua‘a. The Kōloa region south of the ridge was controlled by Pele; its dry and rocky landscape reflects her harsh, impatient and dominant personality. 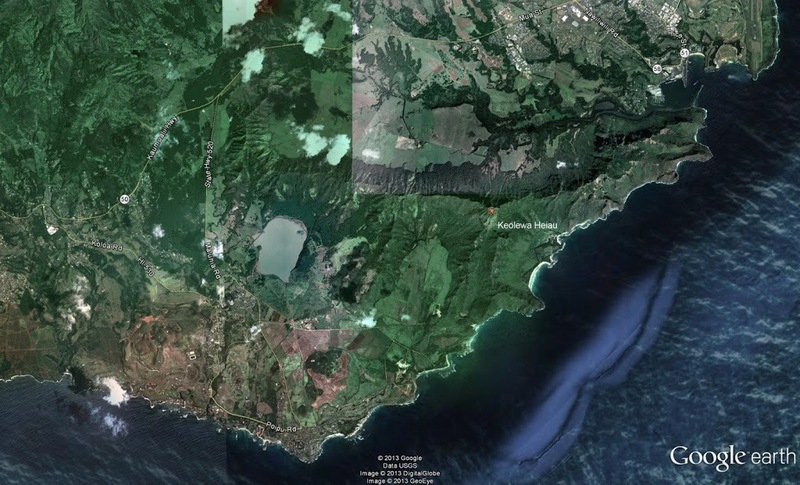 The lusher Līhu‘e side of the ridge was home to the pig god Kamapua‘a, who is associated with “taro, fertility and the creation of fertile springs necessary to sustain life,” and who is known to excel as a lover. 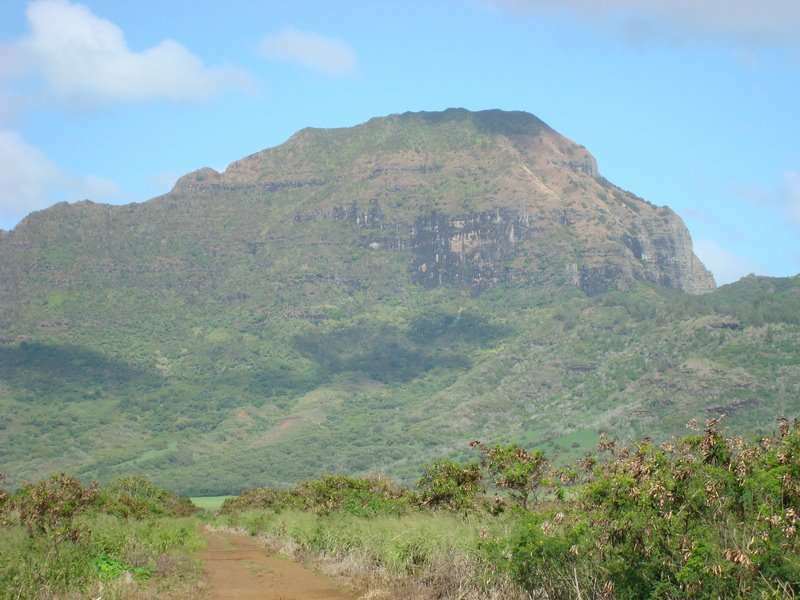 The image shows the summit of the Hā‘upu Mountains, site of Keolewa Heiau.